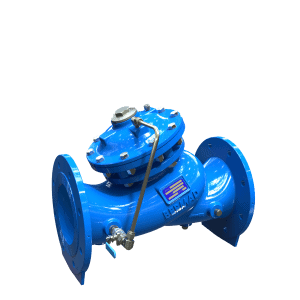 BERMAD 800 series valves are hydraulic, oblique pattern, globe valves with double chamber unitized actuator, that can be disassembled from the body as a separate integral unit. 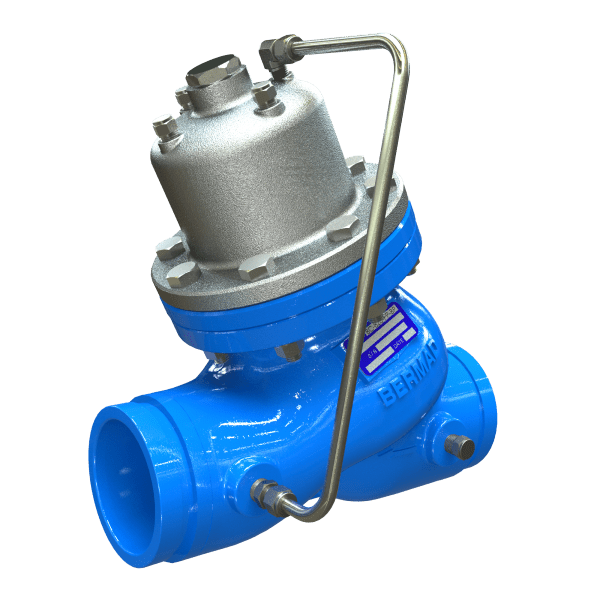 The valves hydrodynamic body is designed for unobstructed flow path and provides excellent and highly effective modulation capacity for high differential pressure applications. NOTE: The BERMAD BC-820-PP-P is designed for high operating pressures. 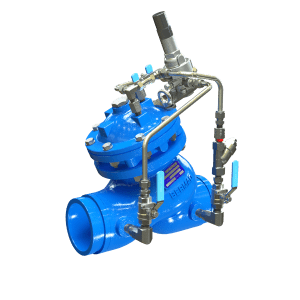 For lower operating pressures, consider the BERMAD BC-720-PD-P.
Two-Stage Pressure Reducing Station, featuring BERMAD BC-820-PP-P valves to reduce the incoming pressure by a fixed ratio and share the load with the BERMAD BC-720-P PRV, a redundant, parallel branch to minimize the possibility of total water shut-off and a low flow bypass branch for low demand operation. For information on the other BERMAD products in this system please see the product data sheet for the following components: BERMAD BC-720-P, BERMAD BC-73Q-P and BERMAD BC-80F-P.